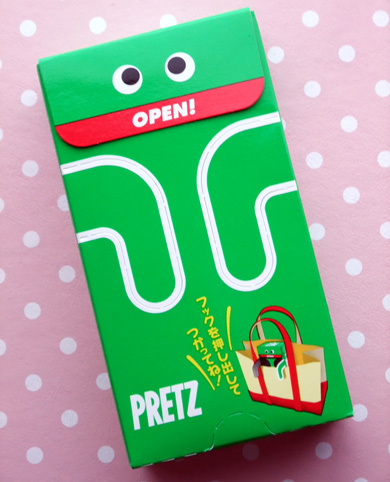 Glico Pretz package are now becoming “Tsuretette-kun”, means like Mr.
Aww! He looks like gumby! I’ve been following your blog, keep up the good work and share more Japanese goodies and things. Have a great weekend.